Sports Jobs: I Wonder Who the Sponsor Is? 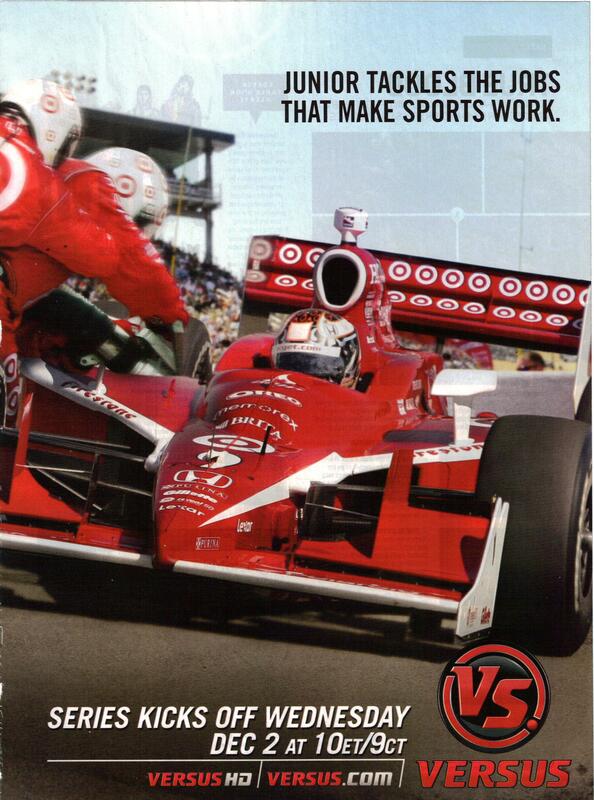 This is an ad for the show Sports Jobs and was found in a men’s magazine. When I first opened to this spread I thought I was looking at a Target ad. It was only a moment later after closer examination of the ad that I realized that it was for a television show. Now, sponsorship is important, particularly in sports like car racing where it can get extremely expensive very quickly. But why the blindly heavy sponsorship for the show? It just seems odd for it to be that overwhelming. And if this isn’t sponsorship for the show and just happens to be here because they used a shot of the car and team Target sponsored from a race, then it’s even more strange that they chose to do this. That said, this says a lot for how effectively Target has marketed that red and white symbol. I instantly recognized it and it’s only now as I’m writing up this post that I even noticed that it actually says “Target” somewhere (it’s on the belts of the guys in helmets). What this tells me is that Target’s branding has been incredibly successful and this show might have wanted to think about that before they agreed to include so much of it in this ad. It very much drowns them out. You want your ad to make your product memorable, not just your sponsor’s. This entry was posted on December 22, 2009 at 12:00 pm	and is filed under Entertainment. 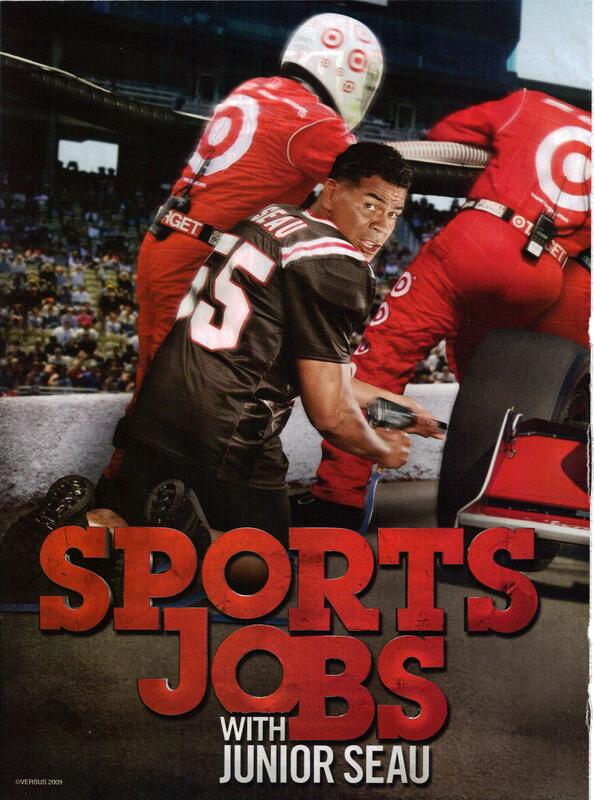 Tagged: print-ad, sports-jobs, target, television, versus. You can follow any responses to this entry through the RSS 2.0 feed. You can leave a response, or trackback from your own site.